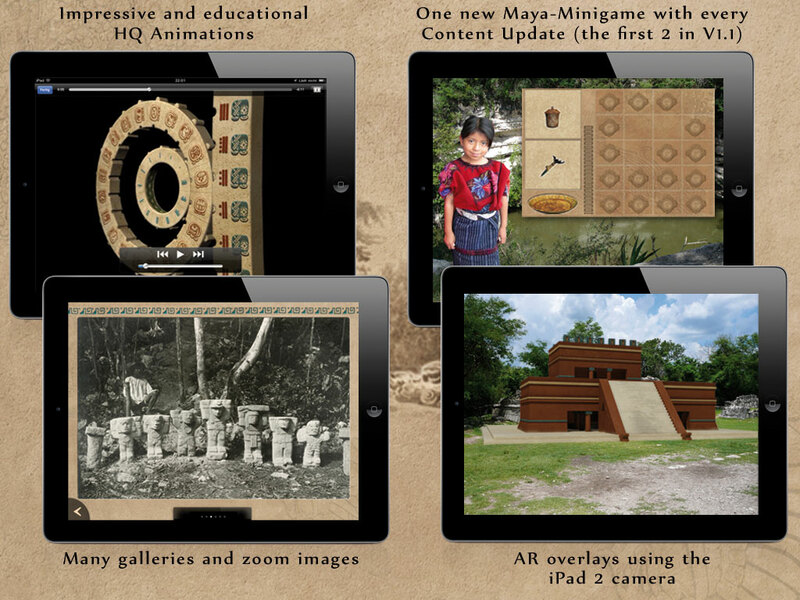 Travel back in time to the golden age of the Maya with 'TimeTours: Chichen Itza '. 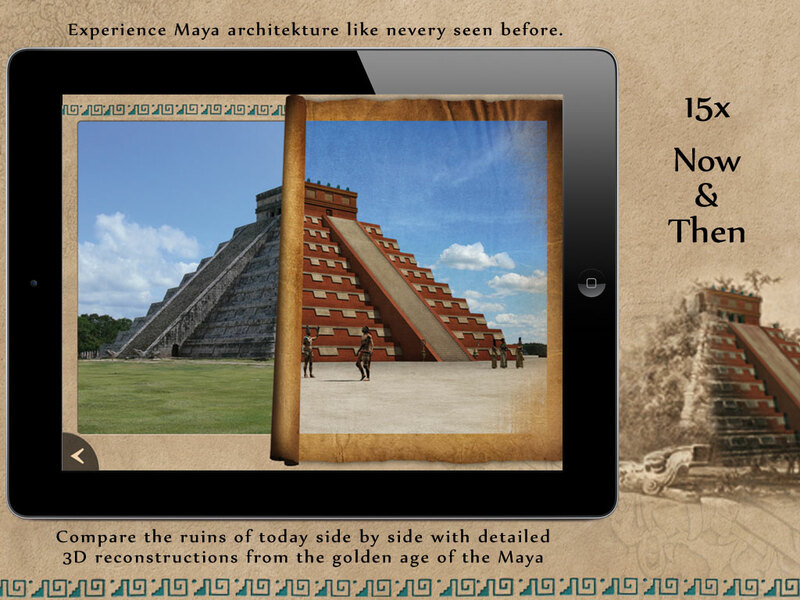 Discover one of the new seven wonders and world heritage LIKE YOU'VE NEVER SEEN IT BEFORE. 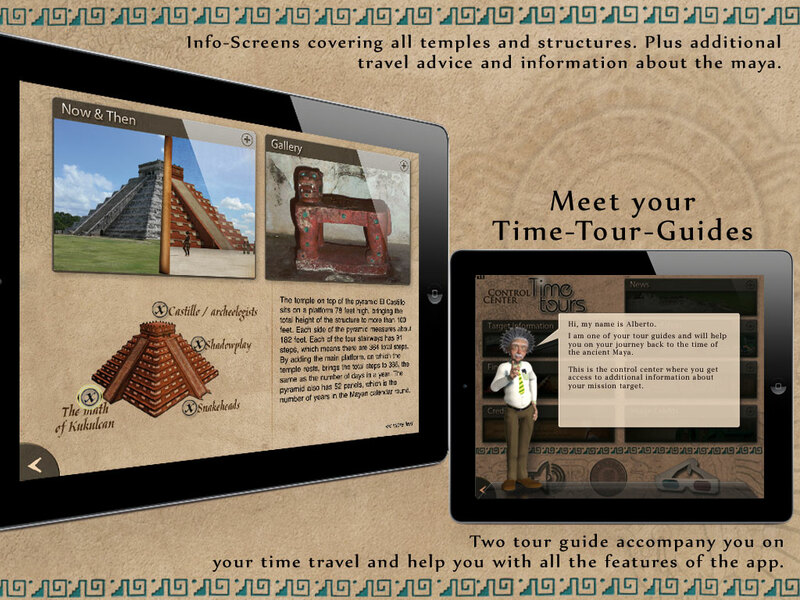 theJOURNAL.com: TimeTours used in Cambridge Friends School iPad pilot program - 'TimeTours: Chichen Itza is a good example of the iPad's interactive nature.' - EDUCATIONAL DISCOUNTS APPLY! The huge 360° panorama views put you right into several important locations of ancient Chichen Itza using the built-in compass feature. 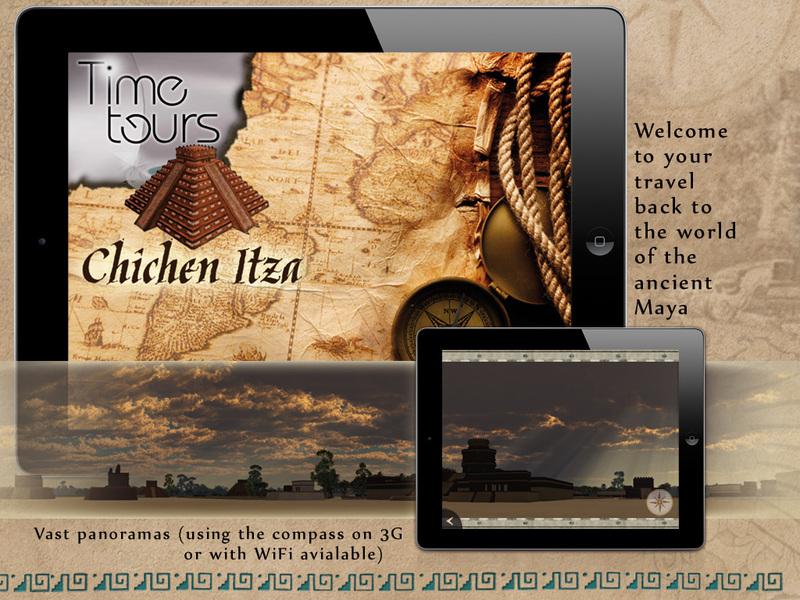 TimeTours: Chichen Itza is -universal- (offering iPhone 4 Retina resolution) - once bought it can be installed on all devices (iPhone, iPad, iPod) and the technical features of each are fully used.